Auckland Art & Craft Fair. 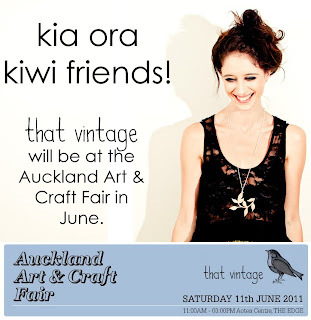 So super duper excited to officially announce that That Vintage will be heading over to the "father" land in June to be apart of the Auckland Art & Craft Fair - yipppeee! 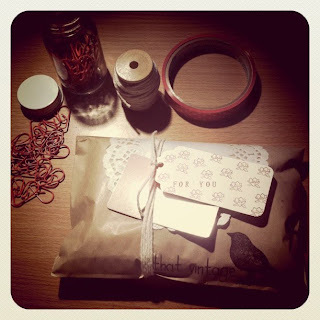 A quick little sneak peek at something new in the words at That Vintage HQ. 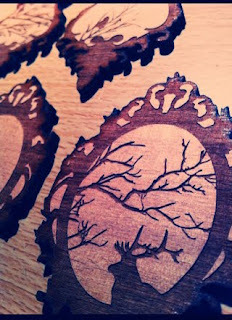 It's been a crazy few creative weeks here - can not wait to show these new little pieces off! "My most memorable easter would have to be when my lola (grandma in filipino) snuck chocolate buttons under my pillow the night before (in a small container). I woke up in the middle of the night & felt something weird under my pillow. I felt around & to my surprise found this container full of chocolate buttons so I started eating away! The next morning, my mum screamed when she saw my face. I had fallen asleep while I was munching on the chocolate buttons so my face not to mention my hands & the bed were all covered in melted chocolate! My lola and were in big trouble. I will never forget :)"
Thanks to everyone who entered - I trust that you all had a sweet and delightful Easter break! 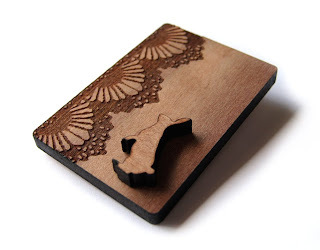 Picked By The People - Part Nineteen. The feeling of winter is just around the corner here in the southern hemisphere - but it is a different story in the northern part of our globe... Spring! 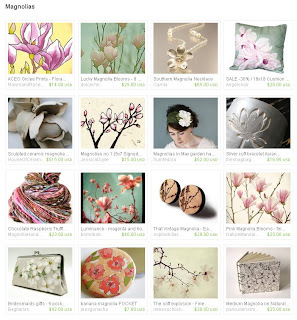 Two current Etsy treasury lists featuring a piece of That Vintage - both with cute, fresh Spring themes; the Magnolia treasury list is truly beautiful! 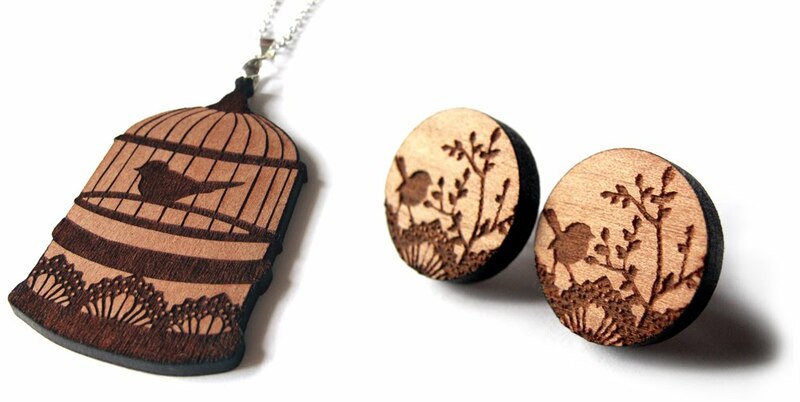 The Feather & Lace Birdcage Pendant and Dainty Wren Earrings are now back in stock online! Available on Etsy and Made It. This morning I spent some time photographing the clay items left over from the last market event. 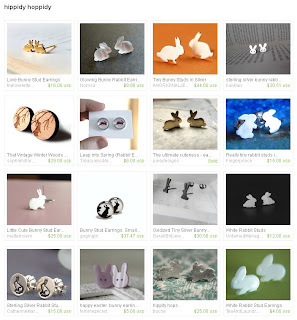 After having quite a lot of interest via email, I decided to list them online in the Etsy store for a limited time. 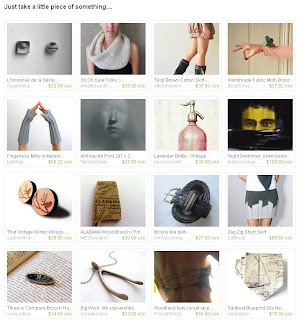 With only being listed for around an hour, one of the rings has already made its first appearance in a treasury list - yippee! 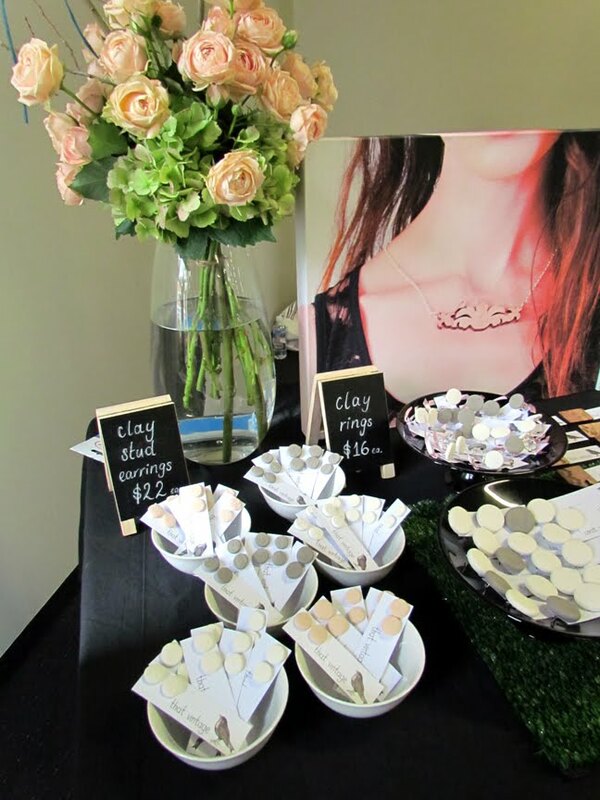 And now back to it... clay earrings will be online shortly! Competition - Hop Hop Hop! stay tuned for the winner and follow the blog to stay in the loop about future giveaways! Our year has arrived at the point of Easter time! If the past four months are anything to go by, 2011 will be quite the whirlwind year! 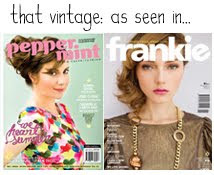 To celebrate the holiday That Vintage is having a wee little boing-boing competition! Comment on this blog entry with your most cherished childhood Easter memory or your favourite treat at Easter time - whether it be something sweet like chocolate, hot cross buns, a trip to the sea-side to catch the fish yourself or a long sleep-in and snuggles with those who you love most! Picked By The People - Part Eighteen. 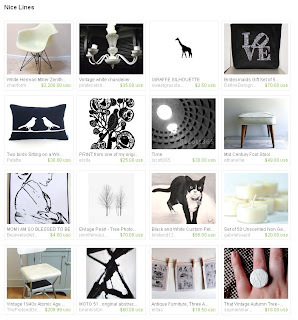 Another two gorgeously curated Etsy treasury lists featuring a piece of That Vintage. 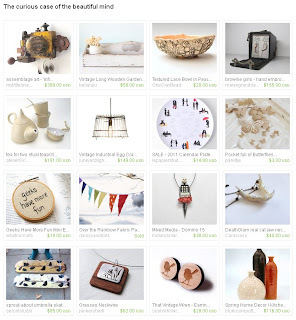 There are so many fantastic treasury lists popping up at the moment - it makes it really hard to pick which ones to feature here on the blog - thankyou to all who have included That Vintage in the lists! Loving the colours of both the above treasuries by colourshake and TamTamThingsToWear- how cute is the wishbone necklace and the umbrella print skate board deck - pretty neat huh! 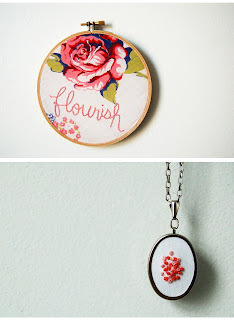 Delicate hand embroidery pieces for your wall and your neck - how gorgeous and girly are these! The clever lass behind these pieces is Danielle from merriweathercouncil - based in Boston, Massachusetts. Her Etsy store is divine! 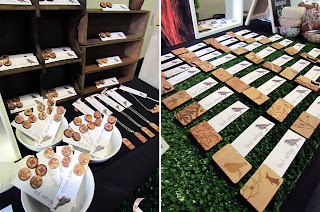 Thanks to Twitter I have virtually met some amazing and very talented souls... most recently the lovely Tenille Evans of Eels Jewellery + Scrimshaw + Objects. 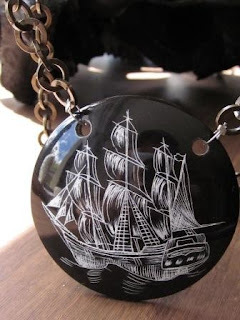 Her work is incredible, detailed and carefully done - beautiful intricate ships and other nautical imagery are carved into Buffalo Horn. Mothers Day is just around the corner; to be sure that you receive your gift for your mama bear in time, place your order before the end of day Monday, 2nd of May - don't forget to request a complimentary gift tag with your purchase! Etsy store and Made It store are both open again! The beauty of selling online means that the good old snail-mail system is still used. When I returned home from holiday last night, my desk was covered in packages and boxes from all around the world - it was like Christmas! 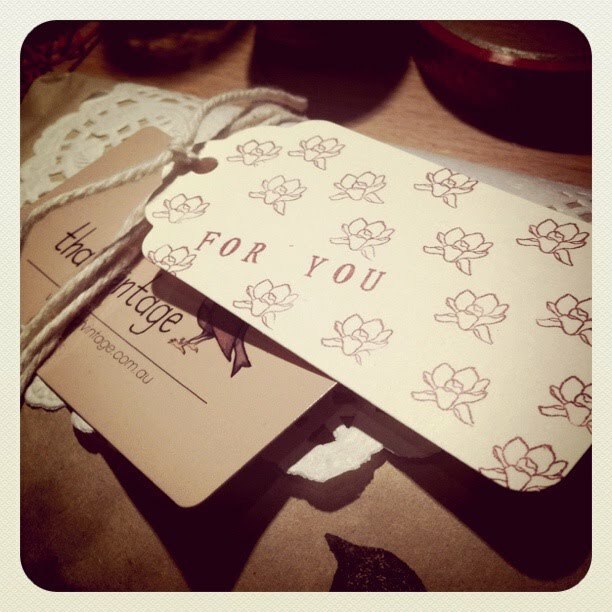 I am now offering complimentary handmade gift tags for orders that are destined as gifts - so if you are about to purchase a piece of That Vintage for a friends' birthday or a 'just-because' gift - then be sure to let me know and I'll include a gift tag! I had such fun making these... I love stamps! Picked By The People - Part Seventeen.. 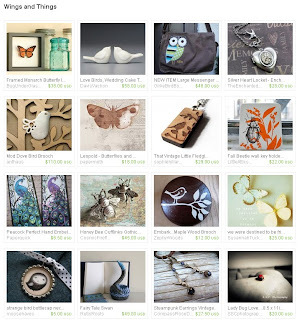 The That Vintage Etsy store was put back into "open for business" mode this morning; a few pieces were relisted and wella - a couple fantastic treasury lists were created featuring a piece of That Vintage! 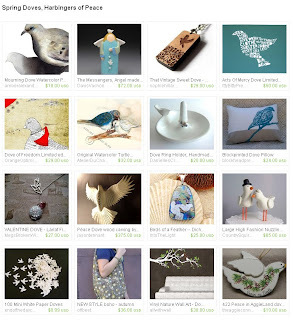 Beautiful feathery and flighty curation themes - it is lovely to see such a diverse mix in both treasury lists by SusannaPantas and TheBayBobbles. 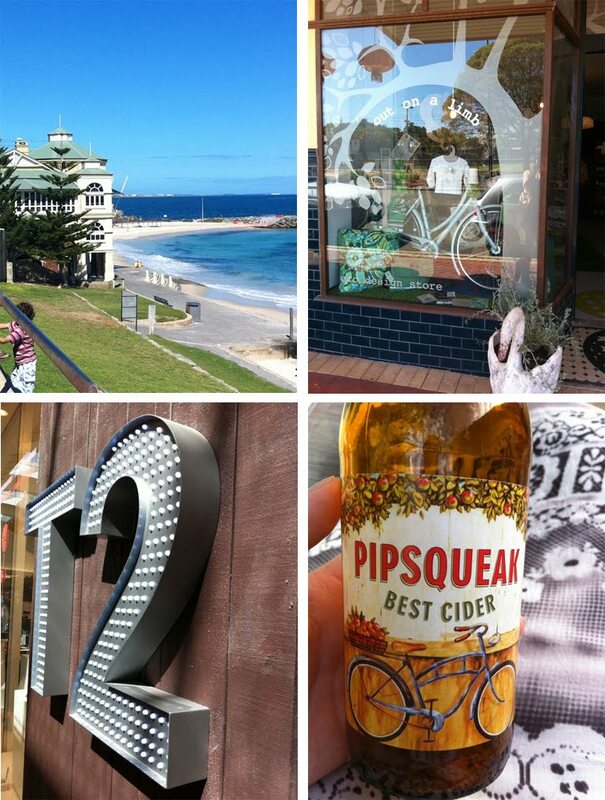 The wild, wild western city of Perth, Western Australia (not really that wild!) was once again, a great place for a holiday, it was lovely to see my sisters family and spend some time in some warmer weather! In short, I visited Cottesloe beach and ate a delicious lunch at the Indiana Tea Rooms, checked out some cute shops such as Out On A Limb, experienced my very first T2 store at Garden City and found my newest drink-crush Pipsqueak cider by Little Creatures Brewery. What a whirlwind - Niche: All Wrapped Up done and dusted for April! An incredible turn out once again, many familiar faces and lots of lovely new customers as well! 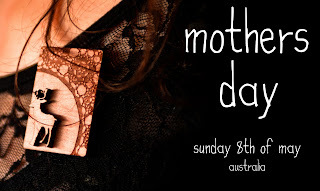 This market is growing with each and every time; it is such a delight to be apart of a great creative community who are all there to get their wares out to the public and also help raise much needed funds for the great organisation which is St Giles Tasmania. The support that St Giles gives the design community with this market, is given back to them ten times over - with 20% of profits from each stall holder going to St Giles.